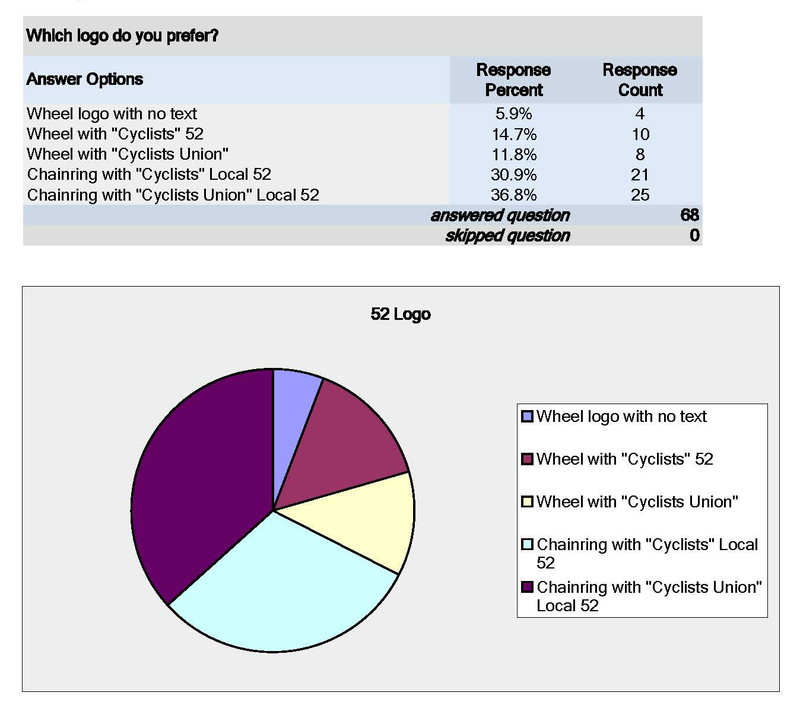 The logo and name survey results are in and the overwhelming choice was Cyclists Union Local 52 for our new Milwaukee area transportation cycling group. Thanks to everyone for your patience with this process. Thanks for coming to all the early brainstorming meetings and for emailing in comments and taking all the surveys. A big special thanks to our volunteer designer Benjamin Halpin, who never complained when we kept throwing changes at him. Below are the final results from the survey to choose the logo design and tag line. 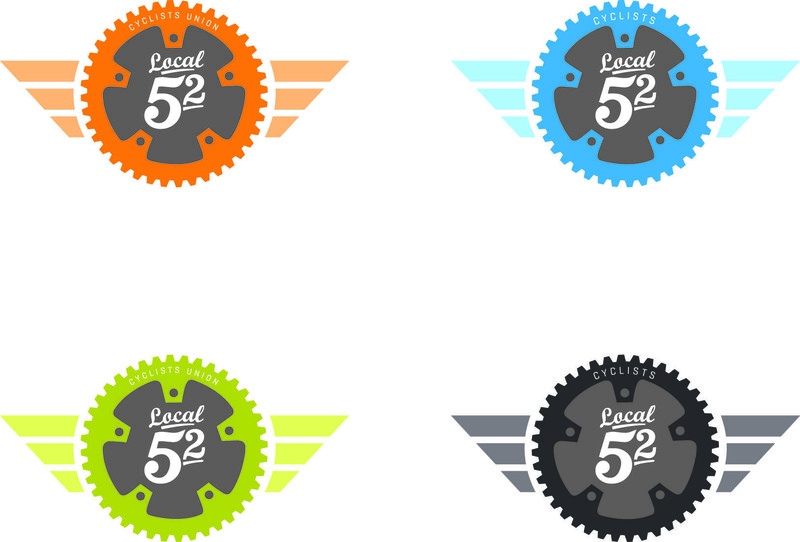 Now that we have a final design, I will ask Ben for a variety of color choices and file types so we can use them for different purposes, from T-shirts to social network sites. Ben already supplied me with theses options below. I created a Facebook page and group so we can sign people up and begin planning rides and meet-ups. So sign up yourself, like the page, invite your friends, tweet away and let the social networking begin. Sweet! I like orange. It just says biking. Nice work with the survey Dave. I’m glad that logo lives on. I was secretly wishing it’d get picked. Nice…the orange is killer!! The “group” link above just takes me to facebook in general not to a goup, but the “facebook page” link works.